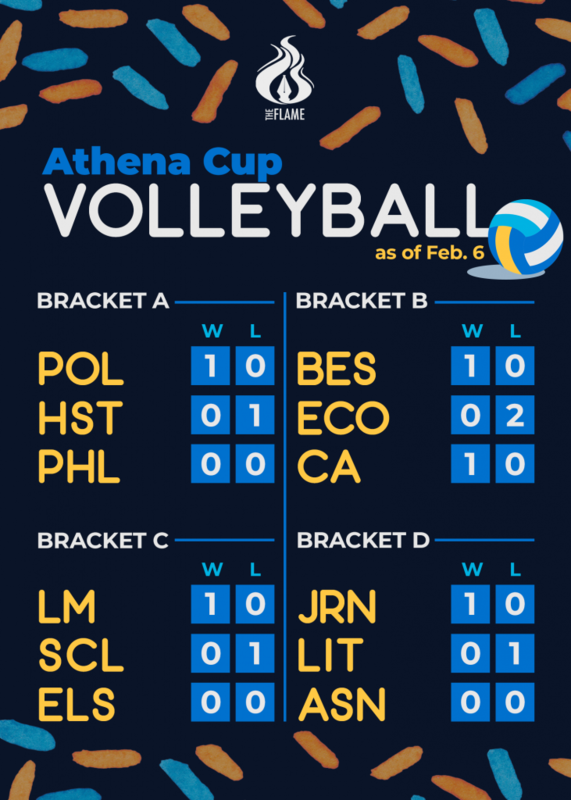 POLITICAL SCIENCE (PolSci), Behavioral Science (BES), Legal Management (LM), Journalism (Journ), and Communication Arts (CA) triumphed in their opening games in this year’s Athena Cup volleyball tourney. 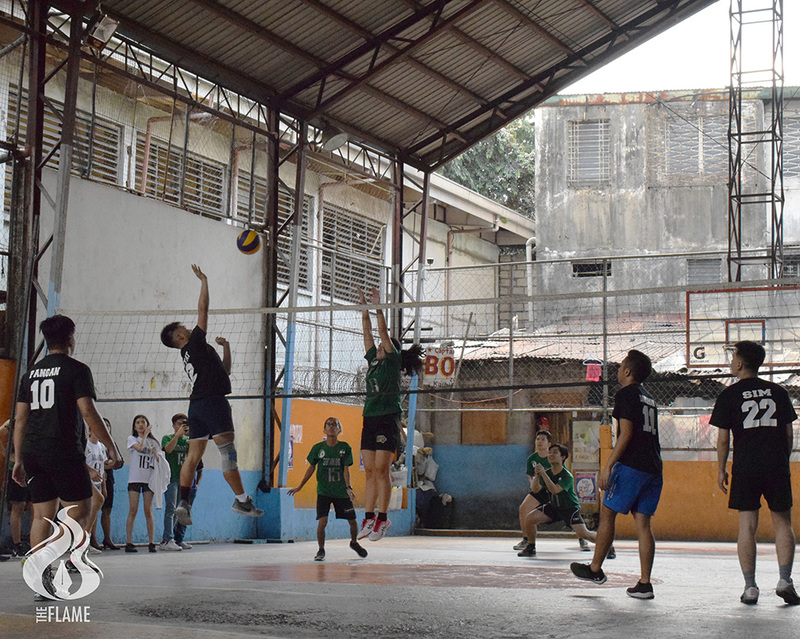 PolSci posted an easy win against history and dominated both frames, 25-14 and 25-18. An early 15-0 run by PolSci gave the team a huge 17-2 advantage, allowing History only a 14-point finish. History tried to make a comeback at the start of the second frame but PolSci quickly regained momentum, finishing the game strong at 25-18. LM conquered Sociology (Socio) despite the latter’s best efforts in the second frame, finishing the game at 25-12, 24-26, and 25-20. Socio was dominated in the final frame after failing to tighten its defenses against a flurry of outside and netted balls, leading to a finishing six-point run. CA slipped past the tight defense of Economics (Econ), taking home the victory after only two sets, 25-21 and 26-24. CA controlled the first set after Econ committed multiple errors, causing an eight-point gap, 20-12, in favor of the former. Econ’s solid defense, matched with an eight-point run, closed the gap, 21-20, but CA ultimately grabbed the first frame. Econ started strong in the second frame, but the spiking arsenal of Ben De Lima and Mon Laurence Madeja lifted CA as they joined forces, scoring 13 and 10 points respectively. BES narrowly outplayed Econ, 25-17, 24-26, and 25-22 after eight deadlocks in the third frame. A fatal miscommunication among receivers at 24-22 cost Econ the game. Journ swept Lit in both frames, crushing in the first set, 25-11, and clutching in the second with 27-25 on the back of the 15 points from Rex Morales.